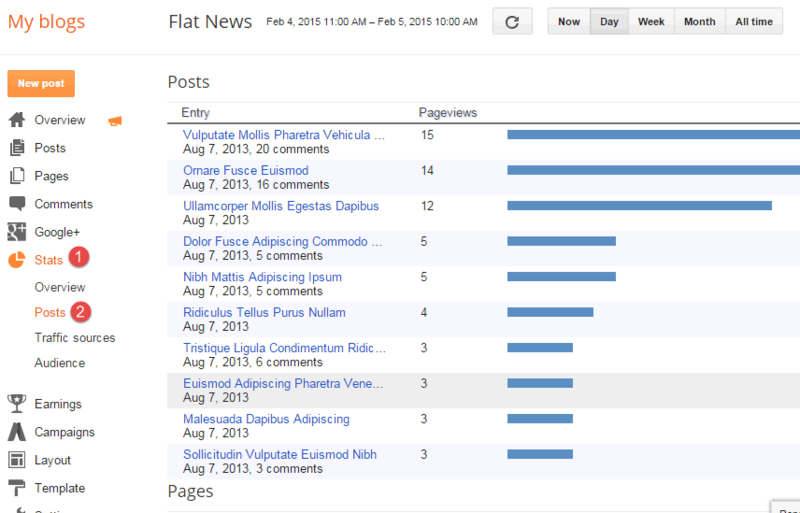 Blogger has a simple built-in status analytic system. In this article, we will try to understand more about this status system. 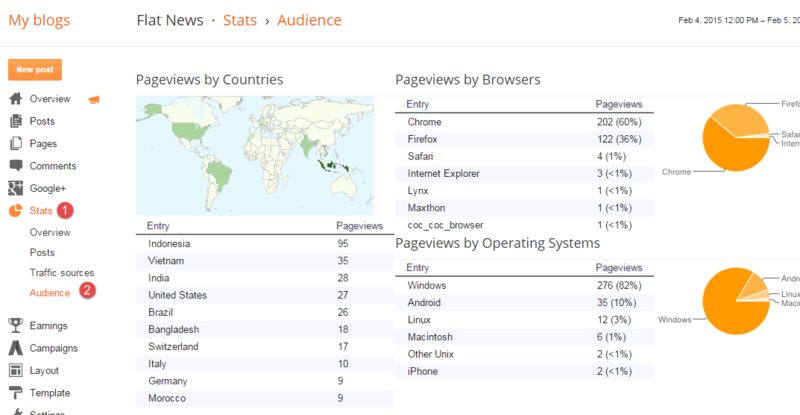 In your dashboard, access Stats / Overview. 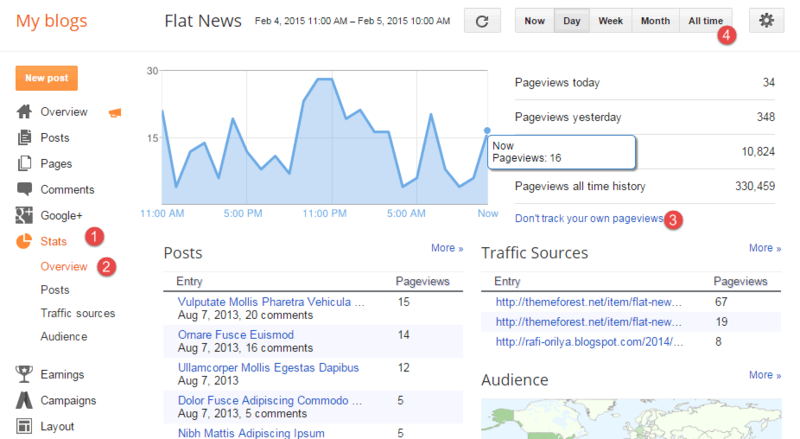 This tab in Stats will show you an overview about your blog status. To make Blogger stats report become more exact, click “Don’t track your own pageviews“link and opt in “Don’t track your own pageviews” option. 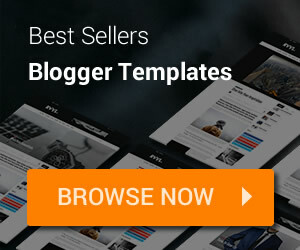 This setting will make Blogger track pageviews from your visitor only. Now, click Posts tab from Stats menu. This tab will show a list of most popular entries in your website by pageviews. We have two lists, one for posts and one for pages. 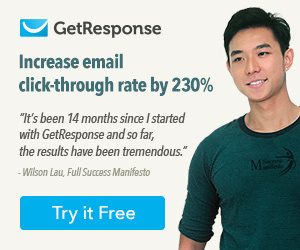 Highest pageviews pages/posts will be shown on the top of the lists. This report will help you understand more about your content trend, and you can have a better plan for your future content. So, this one of important report. Access Status / Traffic sources. 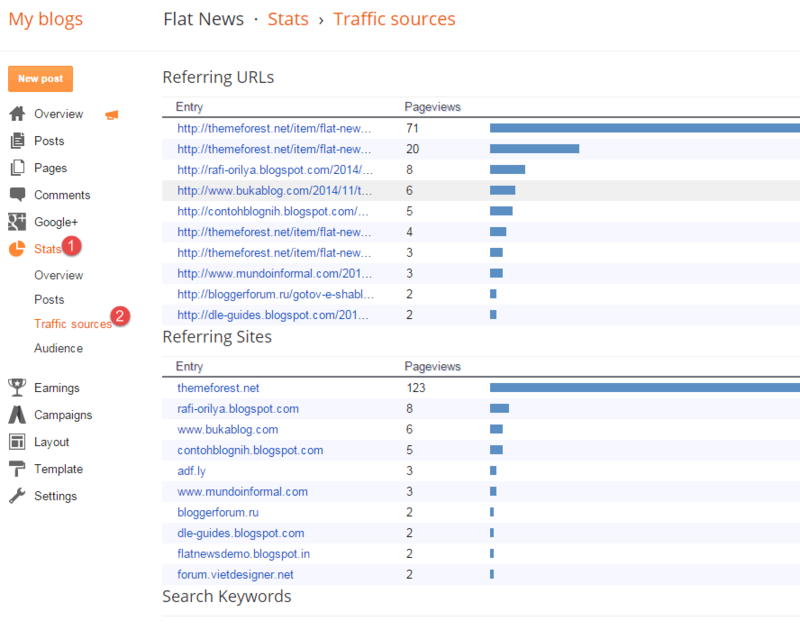 In this tab, you will see clearly about what’re sites targeting to your blog. We have three lists: Referring URLs will show you the article URLs which are giving most traffic for your site, Referring Sites will show top giving traffic sites and Search Keywords list will show you what’re keywords that people around the world is searching to find your site. This tab is the most important tab in Stats page. When you know where is the most source of traffic to your site, you can do more better steps to marketing your website. Example with Referring URLs / Sites, you can access those URLs and leave comments or write more content that suitable for those sites can share (suitable with their content type). When with Search Keywords, you will understand more about what’re the topics that people are interesting, and have a right choice for your next content. The last tab in Stats is Audience, will show you some information about where your visitors come from by countries, what are Browsers and Operating System that they are using. Geographic information will help you understand more about your visitor culture and you can have the right content strategy to excite your readers. Browsers and OS information will help you take a look on your website with those browsers and OS to see if it has any error to fix.